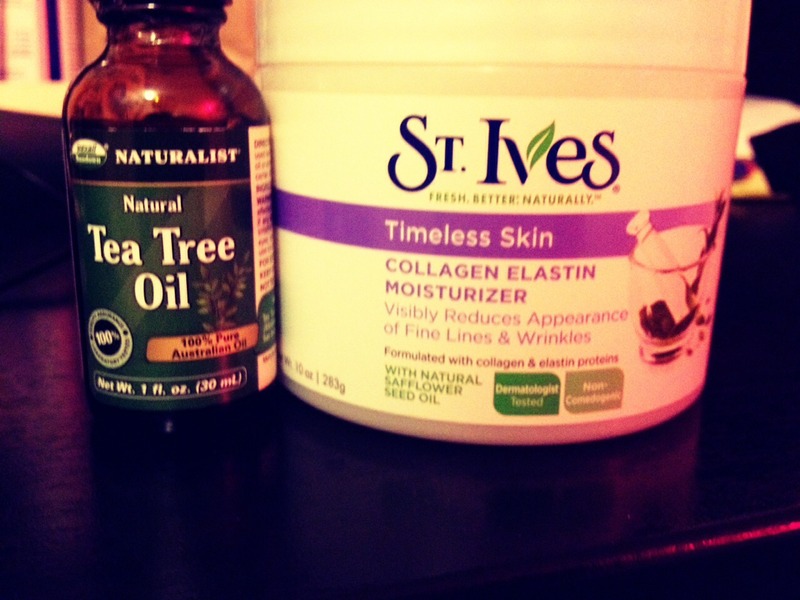 This is a fab combo for oily or problem skin...dab a bit of all natural tea tree oil onto your pointer finger before adding a dollop of the St. Ives moisturizer to a freshly cleaned face. Massage over your face in upward circular motions until absorbed. Enjoy refreshing feeling!! !